I’ve always had a strange fascination with Sega Super Circuit (SSC). 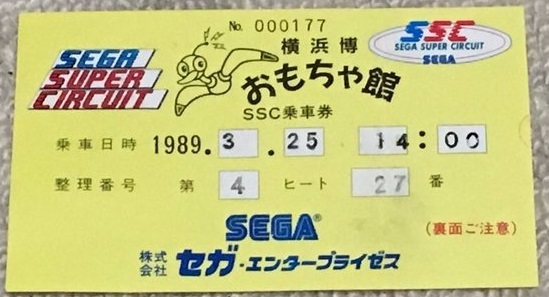 SSC was conceived and developed by Sega’s Mechatronics R&D department, and it went through a series of iterations between 1987 and 1990. It was a bold attempt to combine multiplayer arcade racing with real world remote controlled cars. 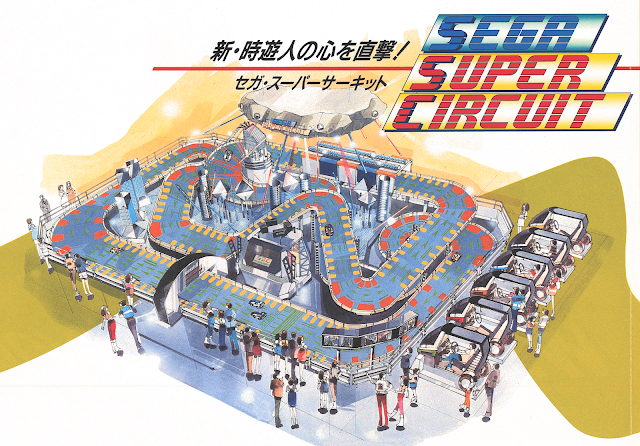 Visitors to venues including Sega World, Tokyo could watch up to 6 RC cars whizzing around a track, set in a futuristic city, that when unravelled was 103 metres long. The track itself took up a total floorspace width of 20 metres, with each section between 1.5 and 2 metres wide. 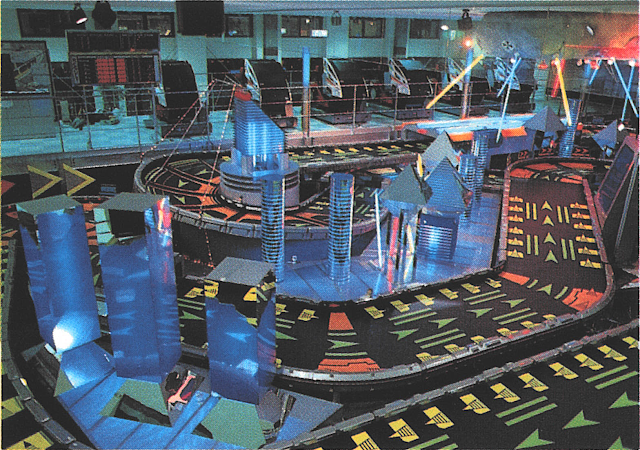 This was not an attraction that would fit in your typical arcade! 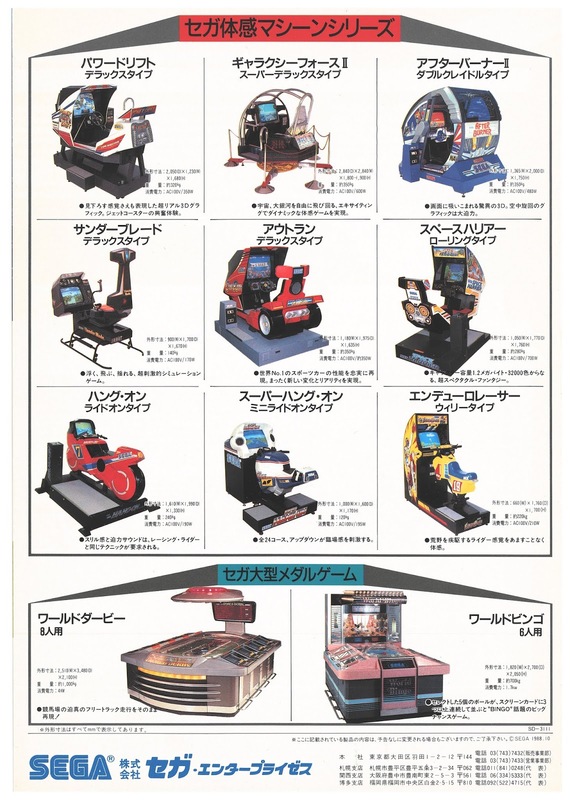 The 6 participants raced an RC vehicle, controlled from a converted OutRun deluxe cabinet. 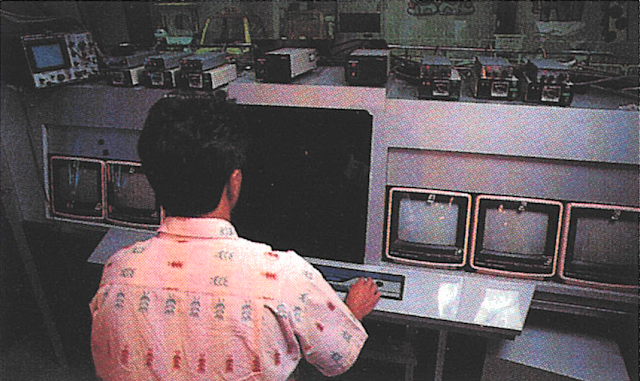 The 26 inch cabinet monitors relayed video footage from the CCD camera onboard each RC car. 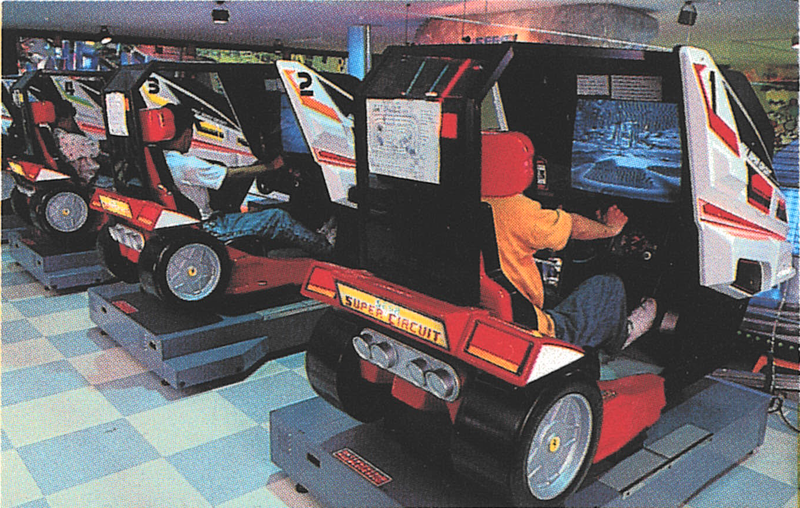 The cabinet’s controls were mapped to the RC’s controls, allowing players to steer, accelerate, brake and reverse. 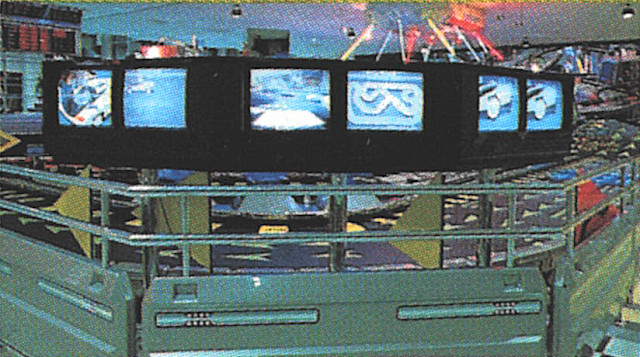 The cabinet’s motion would even kick in during collisions and whilst steering. 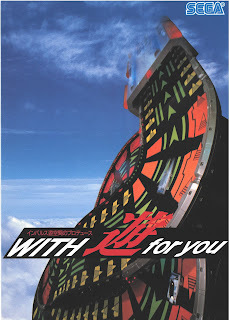 The advertising boasted that the sense of speed was close to 300 km/h when playing. 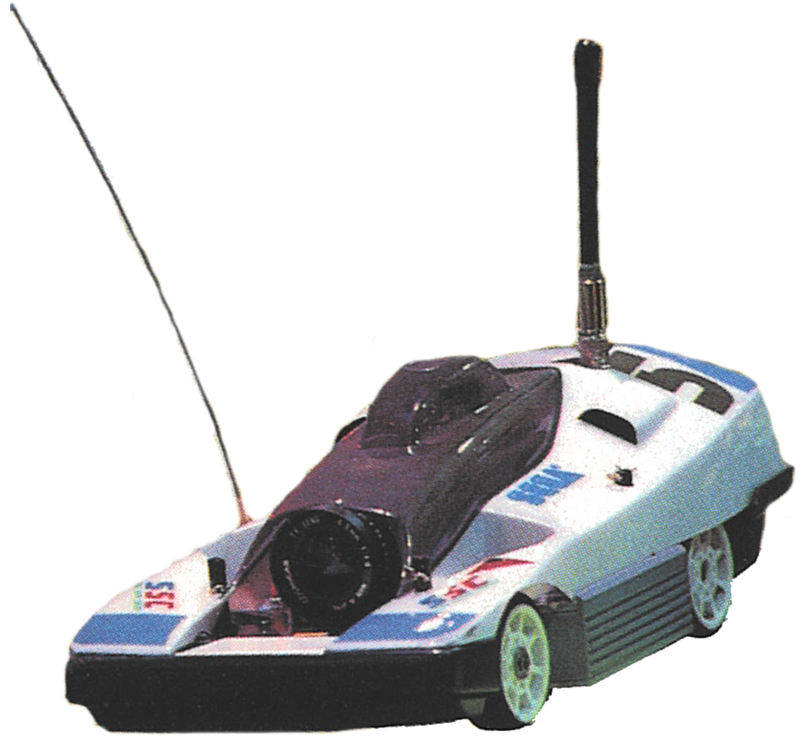 The RC cars themselves were relatively compact: 16cm by 35cm and weighing in at 1.9kg including the battery. 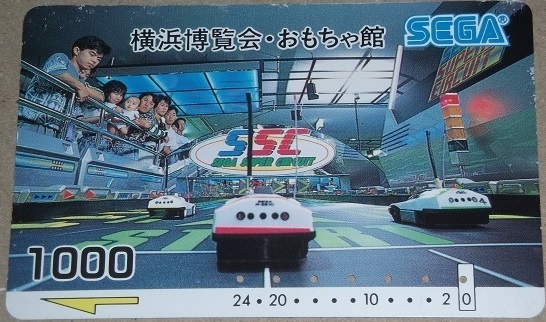 SSC was hosted by a live commentator, with a dedicated team required to keep the attraction running successfully. In many ways the concept has parallels to a modern e-sport competition, with the added advantage of something physical for spectators to enjoy. 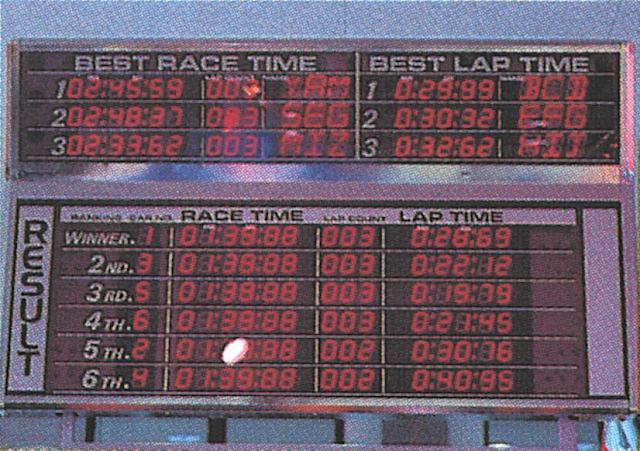 Best race times, lap times and general champion ranking were displayed in leaderboards by the course. There was also a bank of 6 external monitors for on board views of the action. An operator control room, situated in the middle of the track housed a set of 10 inch screens to monitor the race. 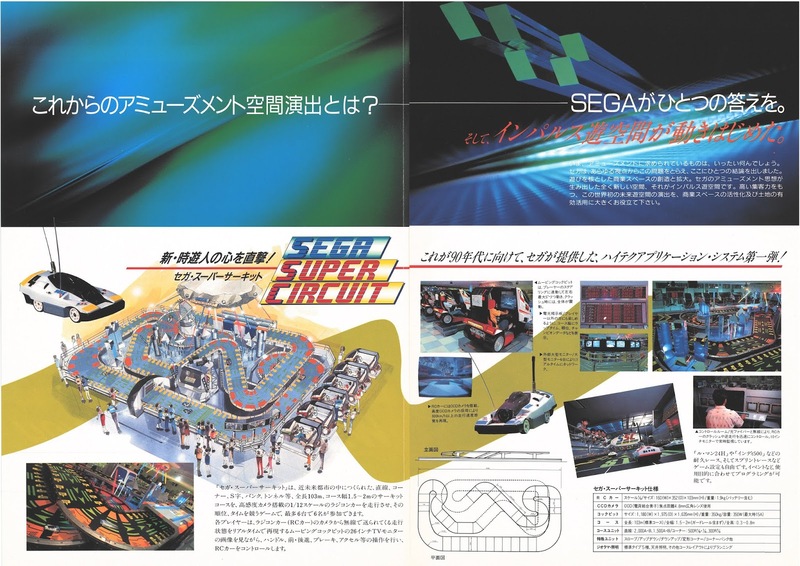 From here, it was possible to configure endurance races, (apparently including “Le Mans 24 hours” and “Indianapolis 500”) as well as sprint races. Exactly how these worked is unclear. The races themselves look somewhat chaotic from the surviving video footage. Reports from those lucky enough to try the exhibit first-hand, claim it was rather difficult to even drive straight! What impresses me the most about SSC, is its scale and ambition. 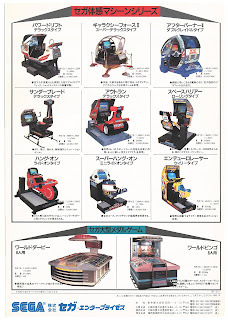 It's a manifestation of Sega at the height of their arcade powers. The footage shows that the camera feed from the RC cars is imperfect and prone to breaking up; Sega were clearly pushing the limits of late 80s technology. It must have been a complex operation to run logistically and it’s hard to imagine arcade operators beyond Sega having the space or resources to maintain such a complex attraction. It must have cost a fortune to design, construct and operate. The configuration of SSC varied dependent on the venue. 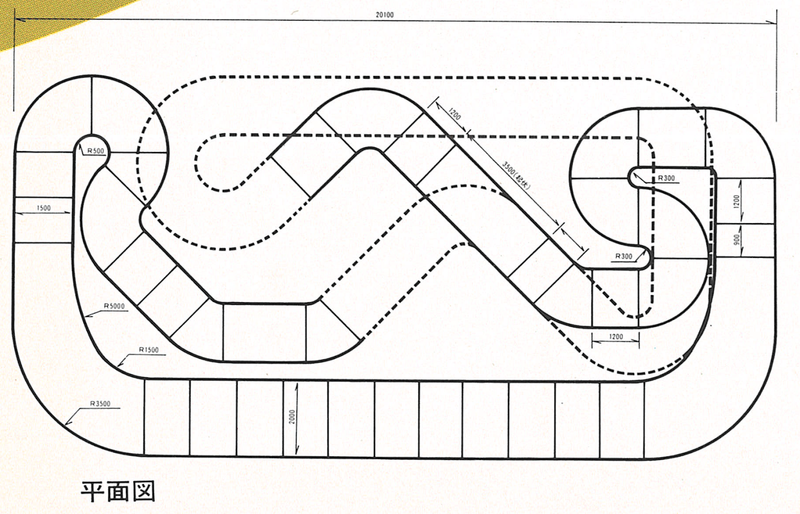 This included changes to the number of cars on track, through to changes to the track design. 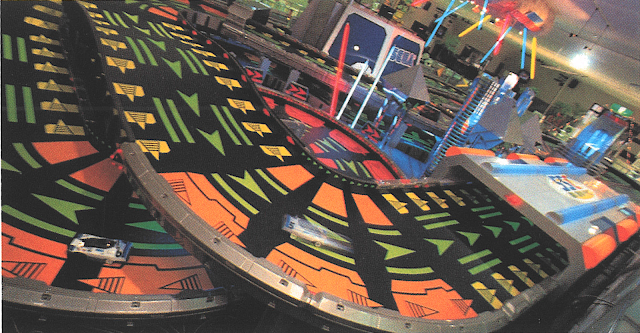 The earliest version, featured different car designs, a minature roller coaster and giant monster prop. 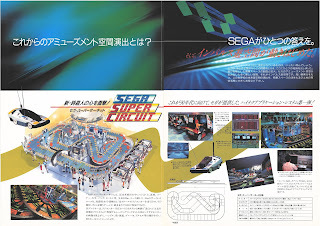 Super Game Z was reportedly a design influence on Sega's 1988 sprite scaling kart racer, Power Drift. 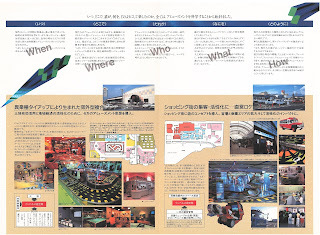 I recently managed to purchase the original flyer for the attraction. 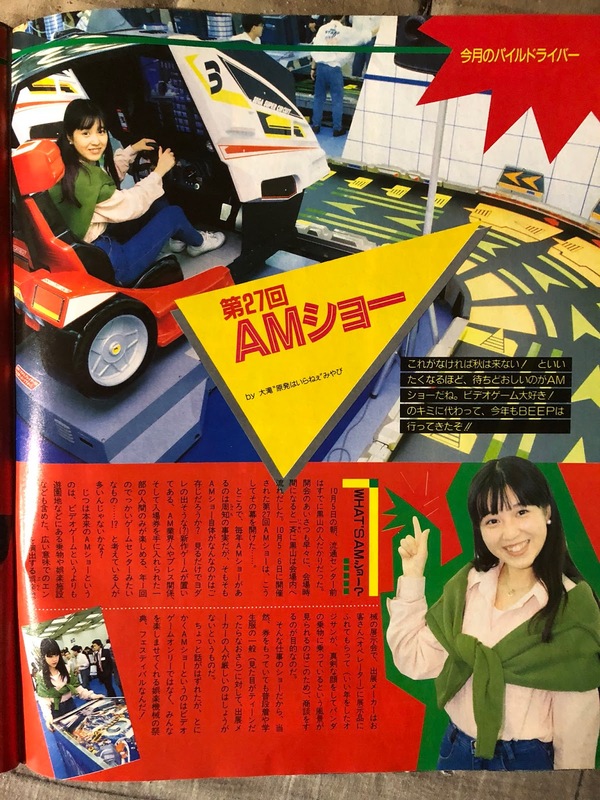 It wasn’t easy to find and there were no high quality scans online, and so finally here they are! Please link back to this blog if you make use of them. High quality versions here.